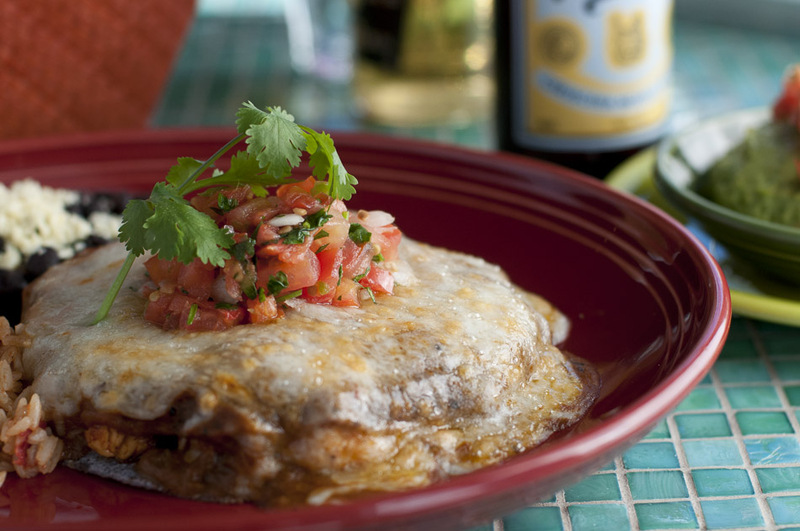 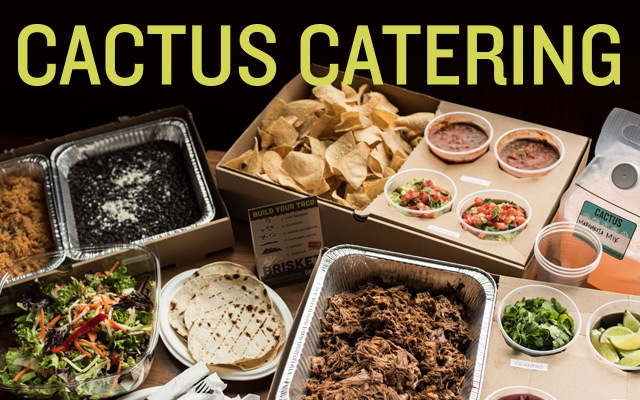 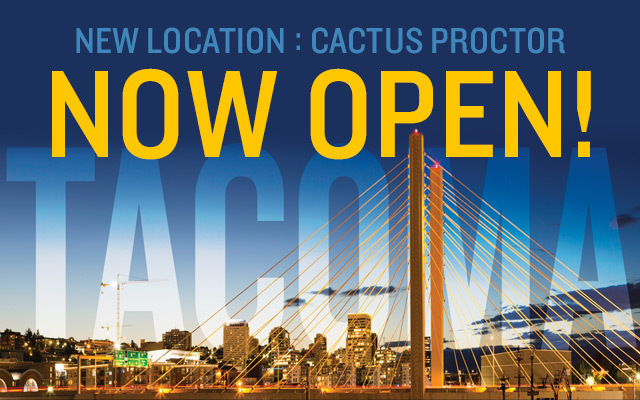 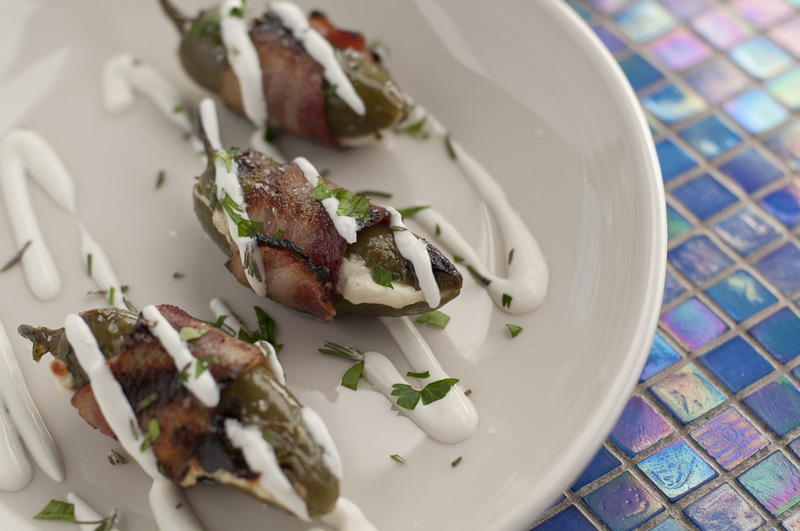 When you visit Cactus Restaurants think of your time here as an impromptu vacation. 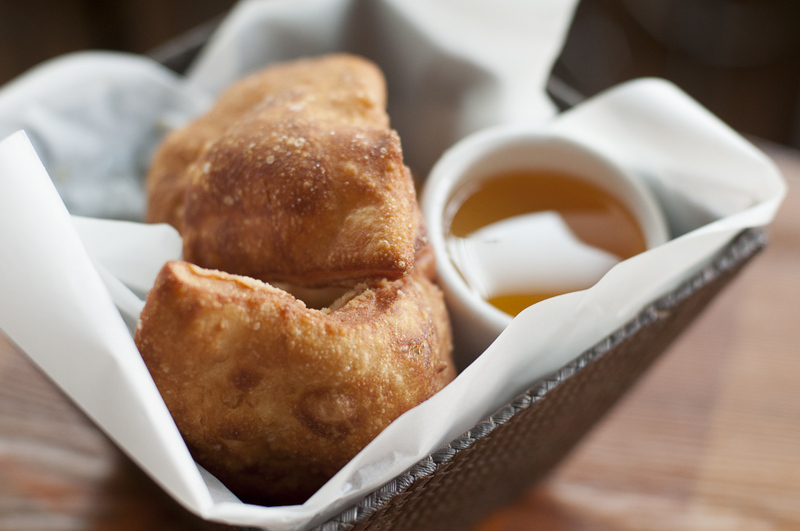 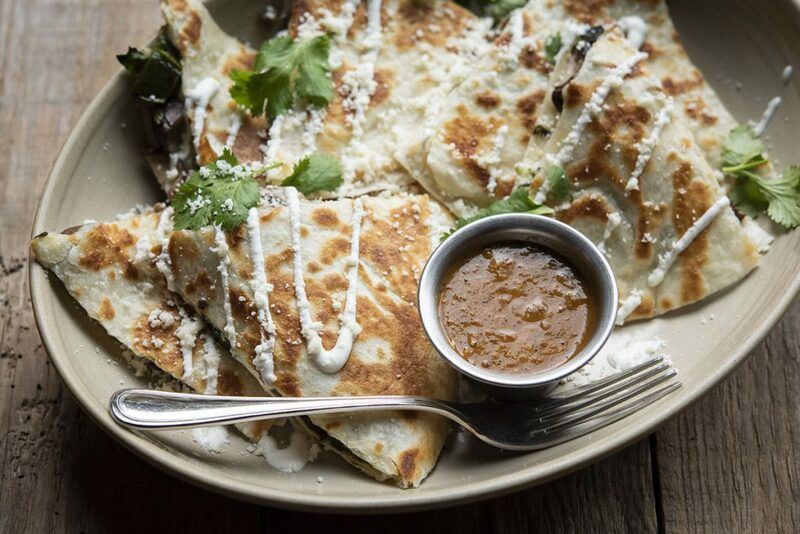 A substantial part of our menu is devoted to antojitos, bocaditos or tapas—small plates perfect for sharing with friends. 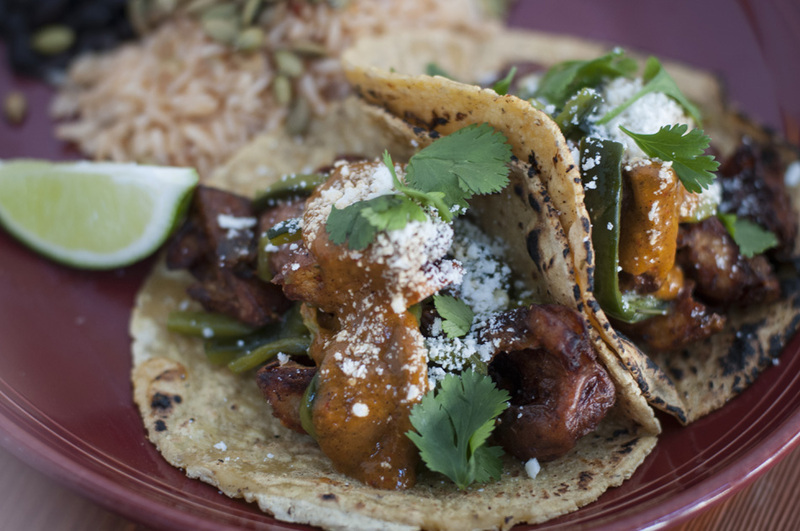 From there we hit on standards from the Southwest and Mexico: fajitas, tacos, enchiladas. 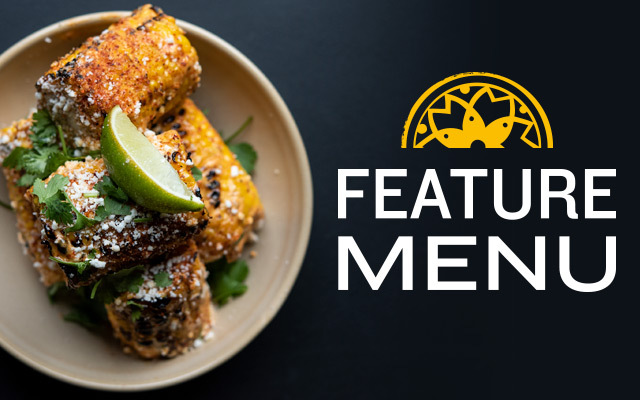 Our Feature Menu is where we really shine, unique creations using fresh ingredients from the Pacific Northwest. 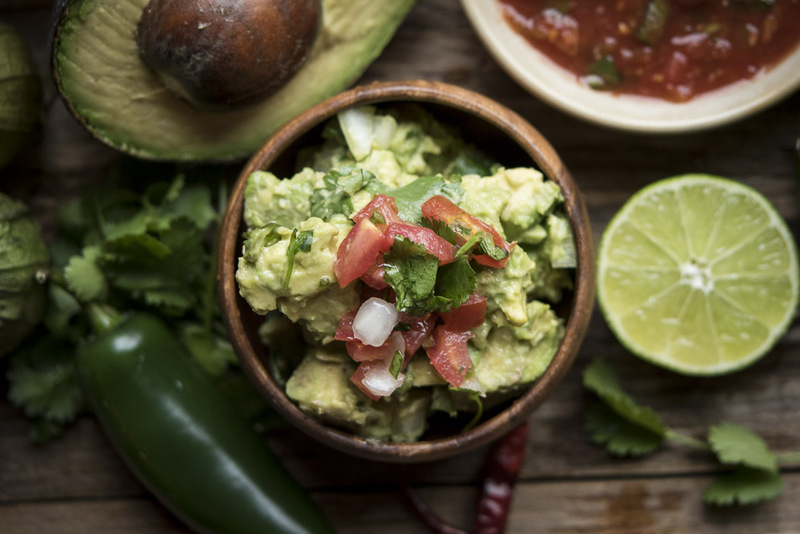 Crushed Hass avocados, cilantro, lime, onion and serrano chiles, with pico de gallo, warm chips and salsa. 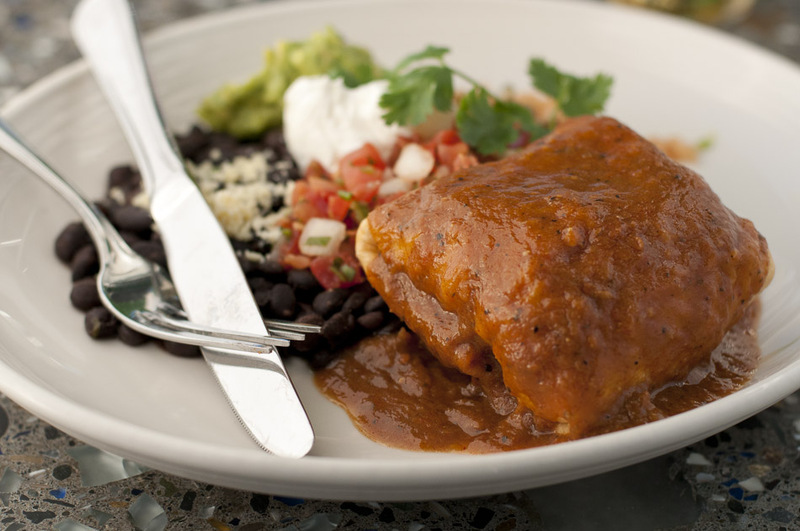 Jack cheese, Laura Chenel’s Sonoma goat cheese, caramelized onions, poblano chiles, crema, guacamole, chile de arbol salsa. 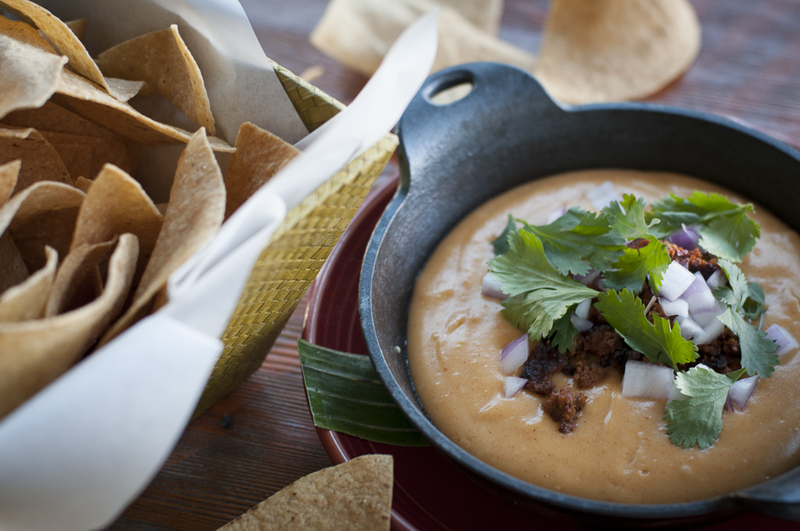 Green chile–cheese dip, house–made chorizo, red onion, cilantro, tortilla chips. 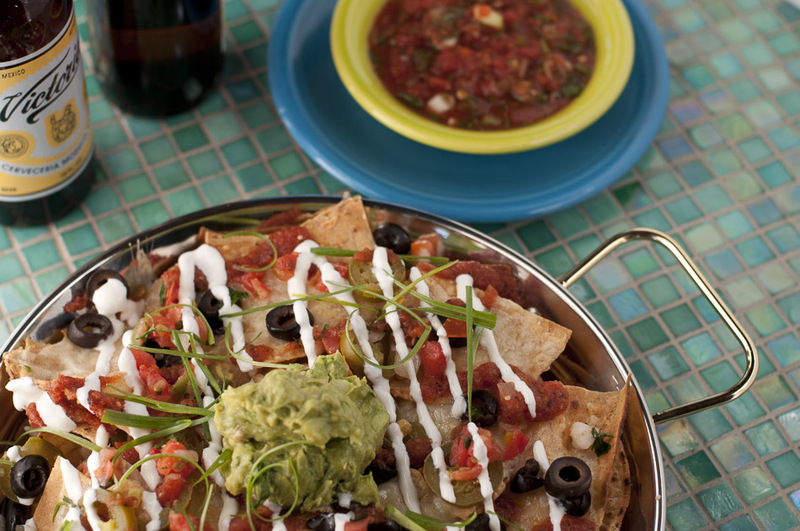 Roasted corn, black olives, jalapeños, pico de gallo, charred tomato salsa, buttermilk crema, guacamole. 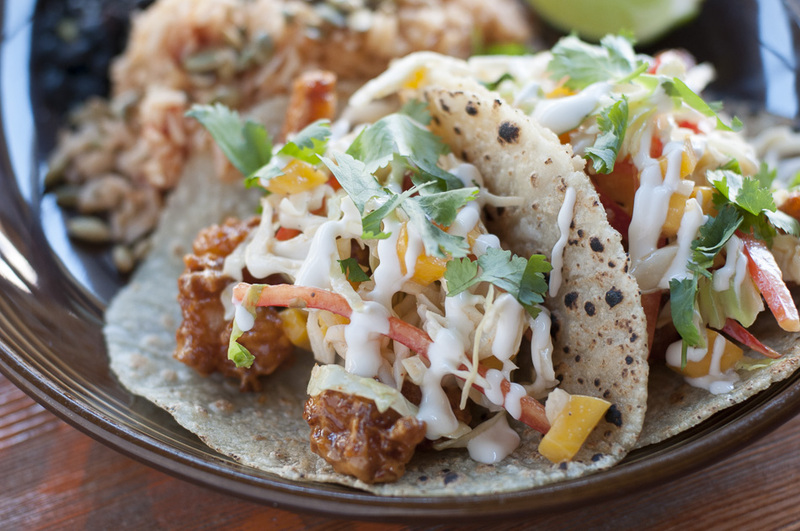 Crispy prawns, spicy Diablo sauce, coriander–pasilla verduras escabeche, mango–pineapple mojo. 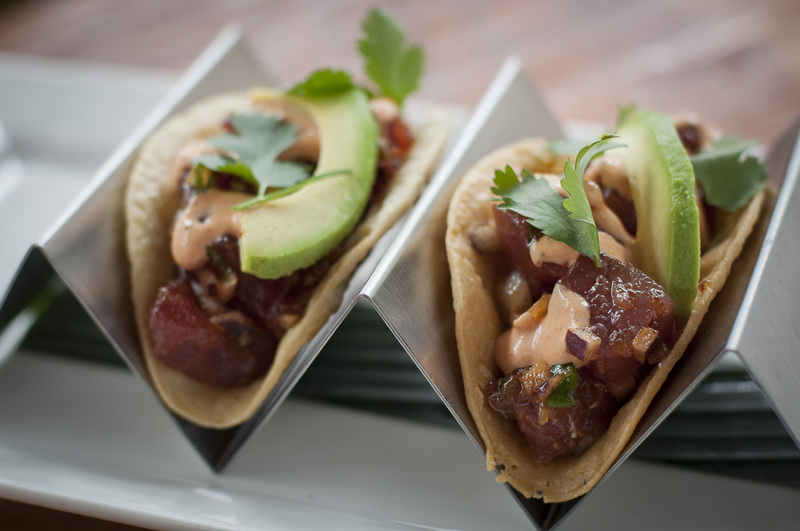 Spicy Baja “poke,” red onion, smoked fresno aïoli, avocado, crisp corn tortilla. 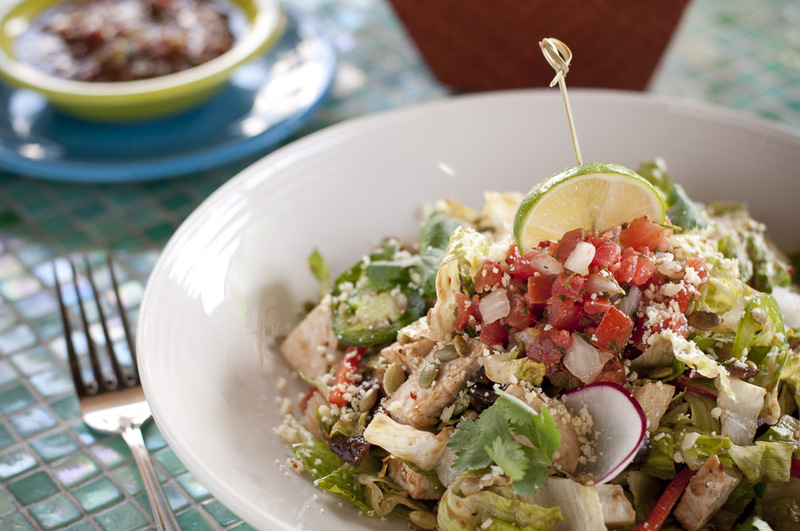 Shredded chicken, ancho chiles and fire–roasted tomatoes topped with fresh avocado, chopped cilantro, blue corn tortilla strips. 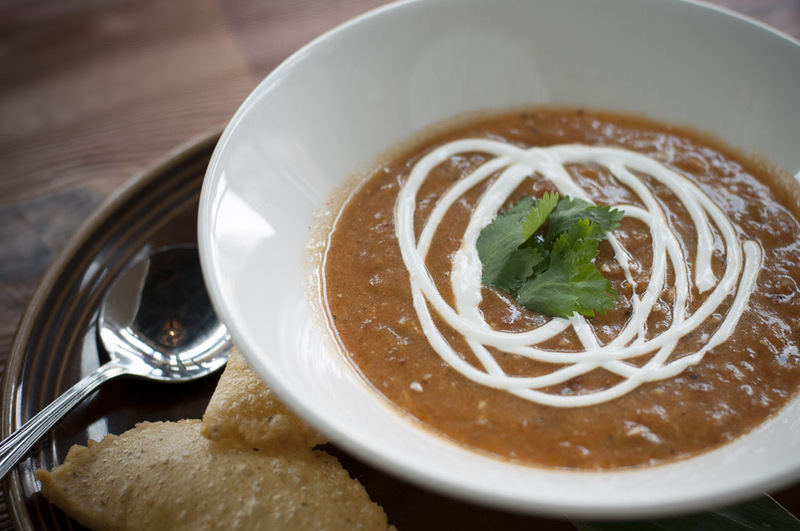 Hatch green chiles, tomatoes, buttermilk crema, cilantro. 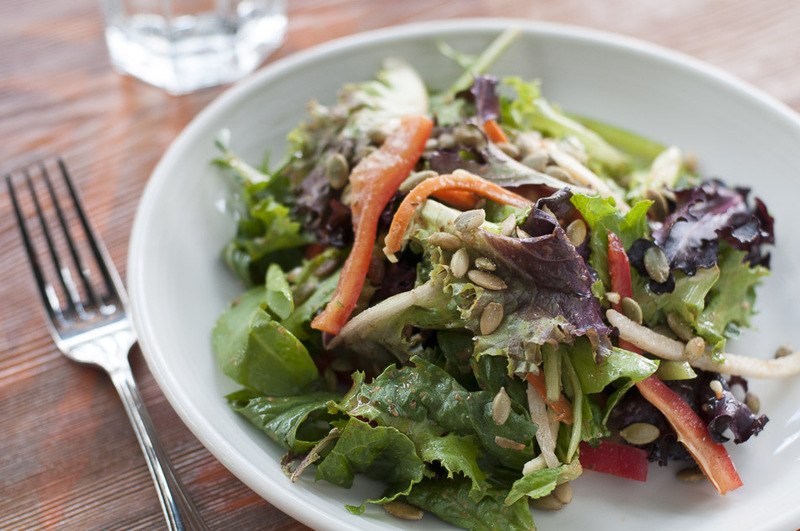 Mixed greens, verduras escabeche, roasted pumpkin seeds, coriander–pasilla vinaigrette. 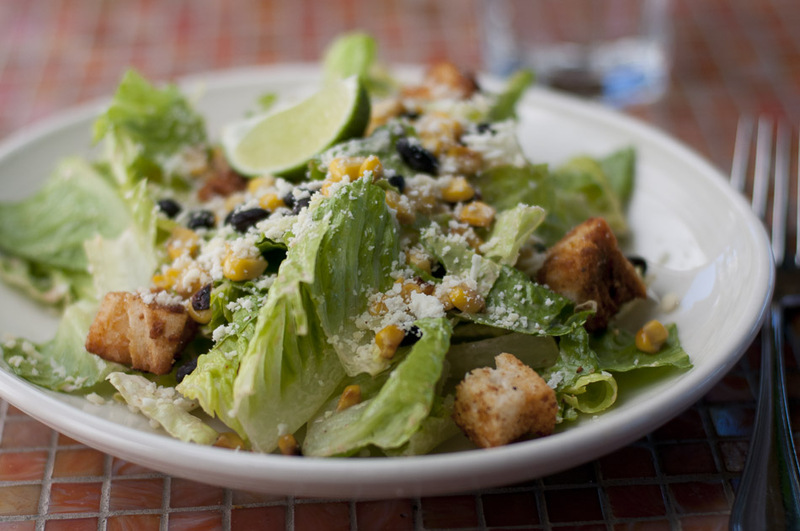 Romaine hearts, bacon, red pepper, radish, olives, panela cheese, garbanzo beans, pico de gallo, pepitas, Cotija cheese, chipotle–balsamic vinaigrette. 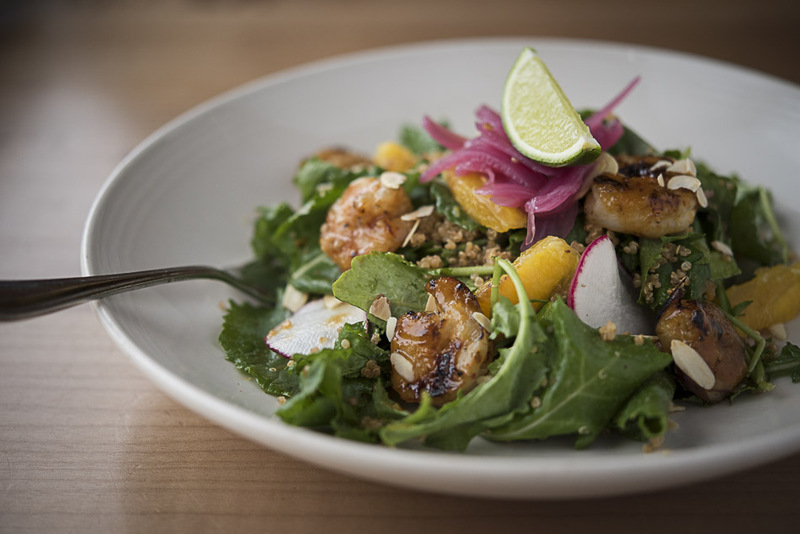 Chipotle–glazed prawns, kale, cinnamon toasted quinoa, orange, avocado, toasted almonds, red onion escabeche, orange–citrus vinaigrette. 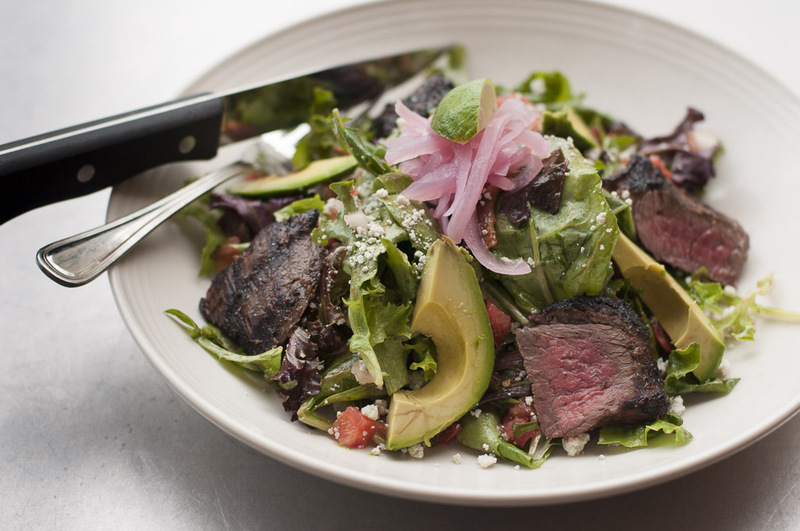 Grilled St. Helens skirt steak, mixed greens, bacon, pico de gallo, red onion escabeche, avocado, Point Reyes Farmstead blue cheese, chipotle–balsamic vinaigrette. 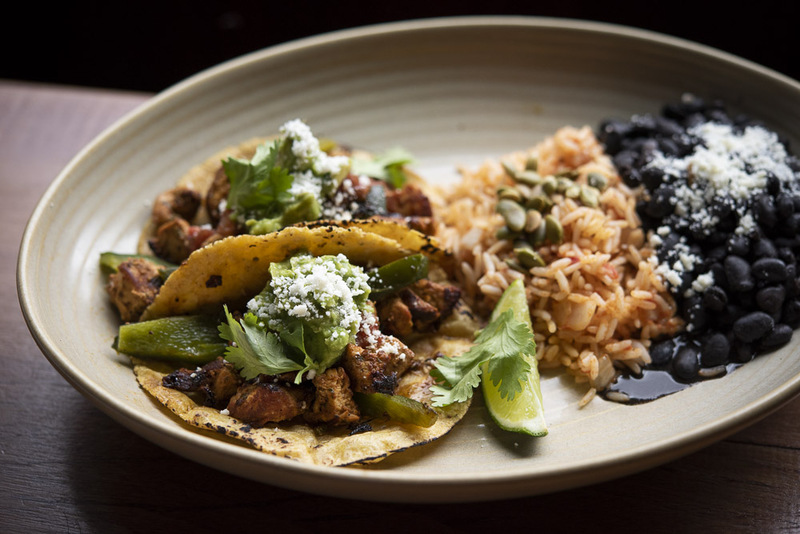 Grilled chicken breast and portobellini mushroom, sautéed spinach, vegetable escabeche, Cotija cheese, pepitas, sunshine mojo and lime chimichurri. 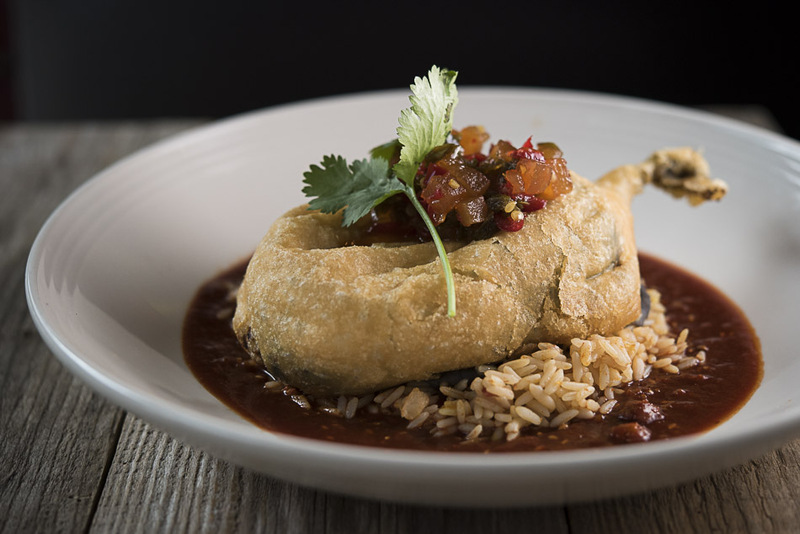 Fried poblano chile, Jack cheese, Laura Chenel’s Sonoma goat cheese, mole rojo, black bean purée, Spanish rice, jalapeño jam. 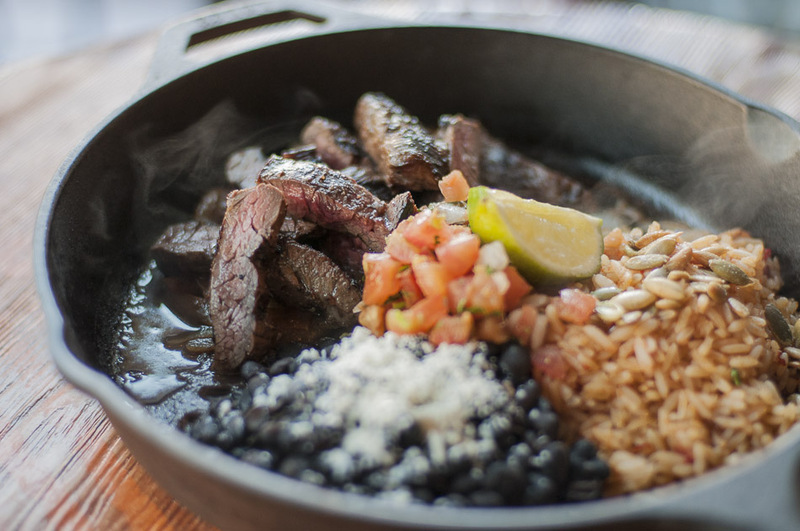 Served in a sizzling skillet with Spanish rice, cumin black beans and caramelized onions. 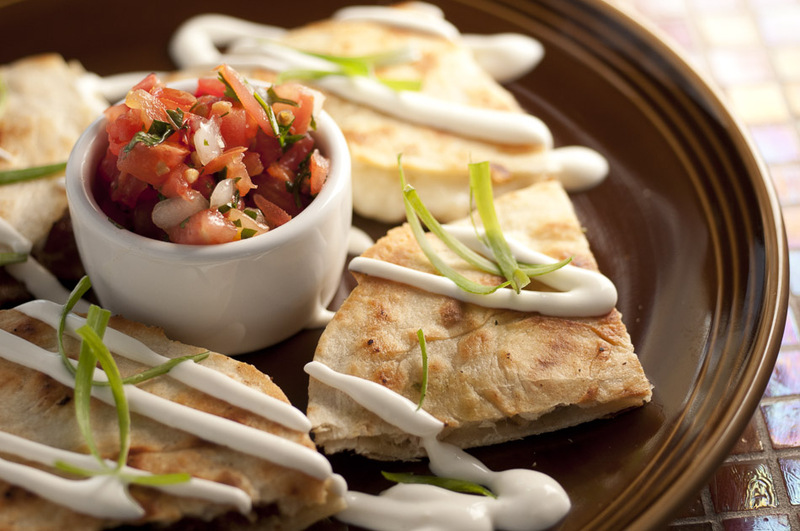 Guacamole, sour cream, Jack cheese, lettuce, pico de gallo and warm flour tortillas on the side. 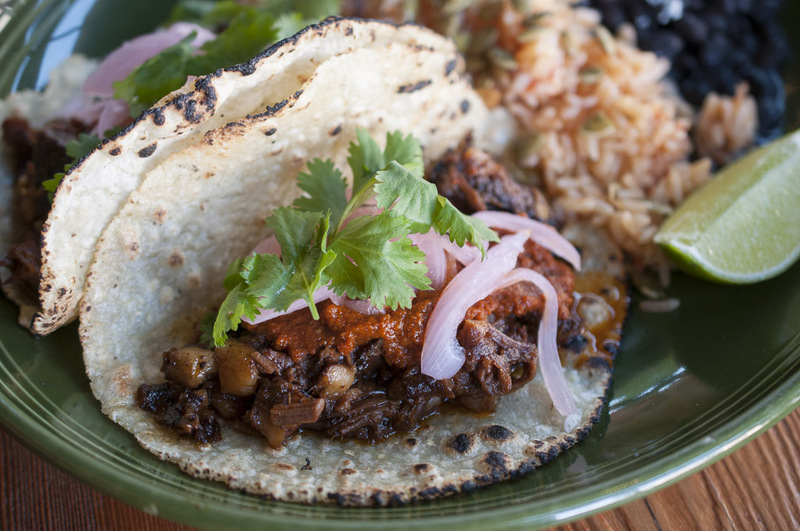 Apple wood smoked brisket, guacamole, pico de gallo, Spanish rice, cumin black beans, New Mexico green chile sauce, buttermilk crema. 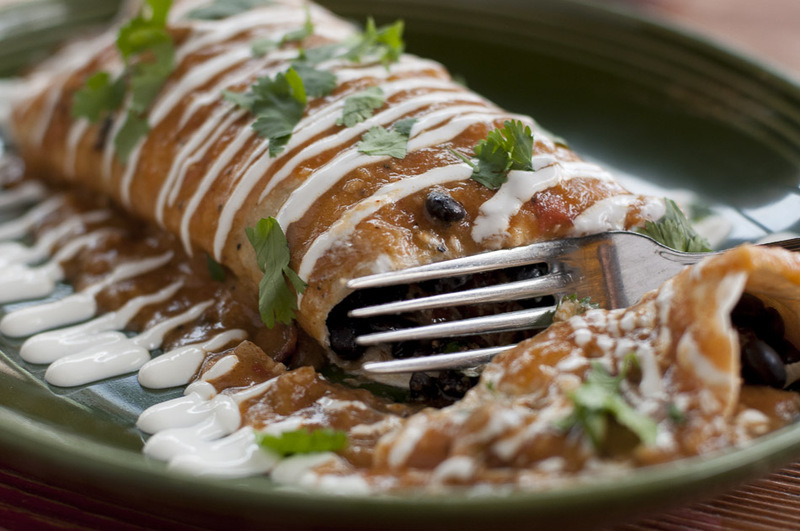 Crisp flour tortilla, Jack cheese, green chile sauce, pico de gallo, guacamole, sour cream, Spanish rice, cumin black beans. 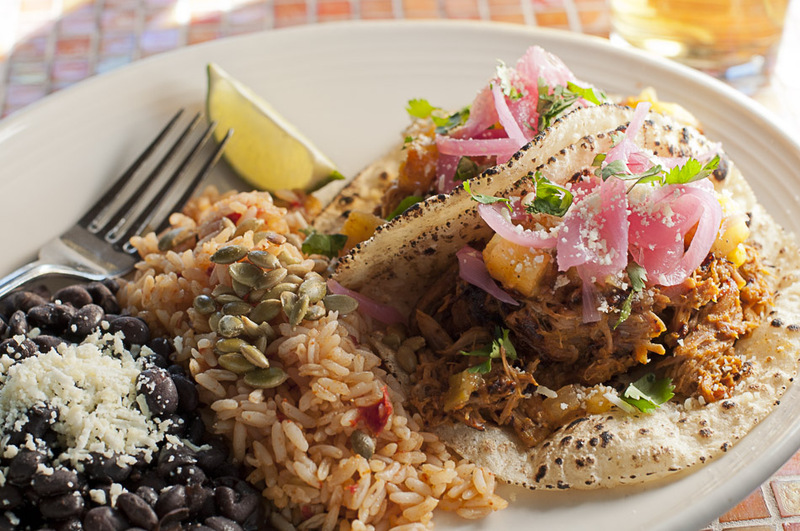 Choice of chicken, house–made chorizo, braised brisket or grilled portobello + vegetable escabeche. 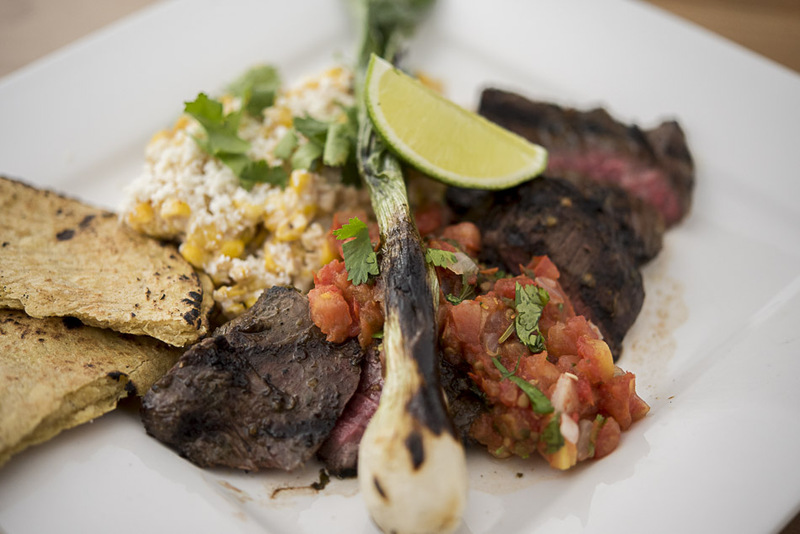 St. Helens skirt steak, spicy ancho chile salsa, chile–lime corn, refried black beans, queso blanco, grilled knob onion, house–made corn tortillas. 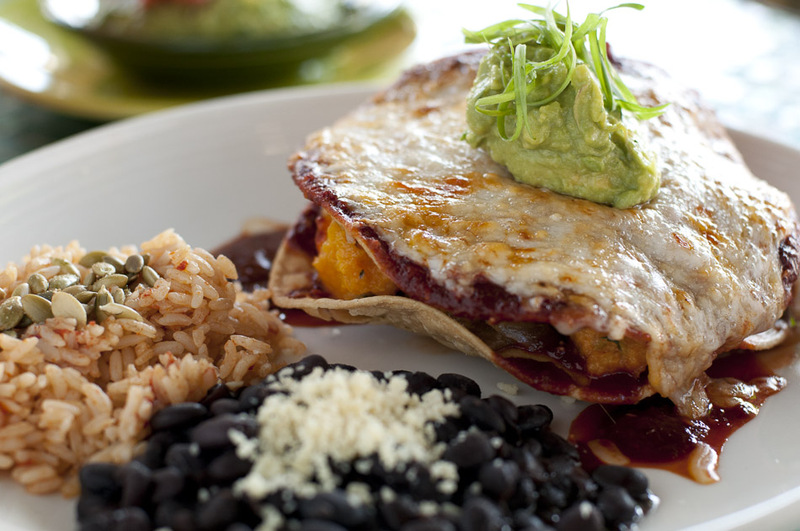 Crisp white corn tortillas with Jack and goat cheeses, sautéed spinach, roasted butternut squash, caramelized onions, mole rojo, guacamole. 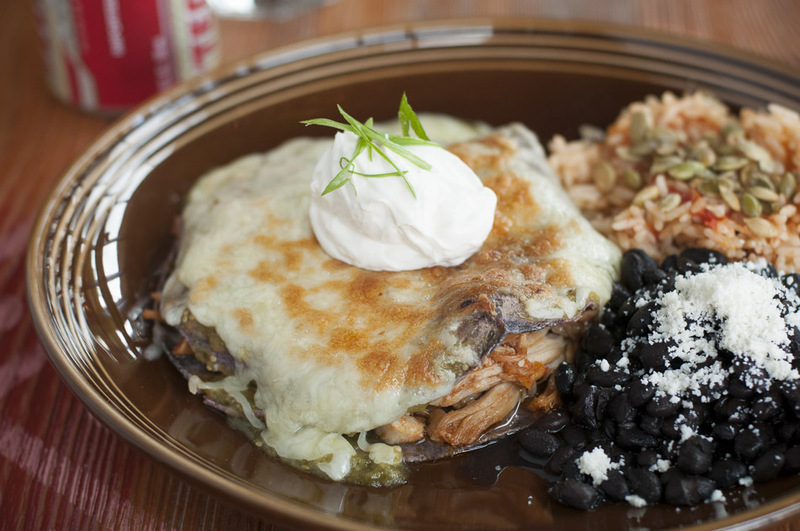 Blue corn tortillas and shredded chicken with Jack cheese, garlicky tomatillo salsa and sour cream. 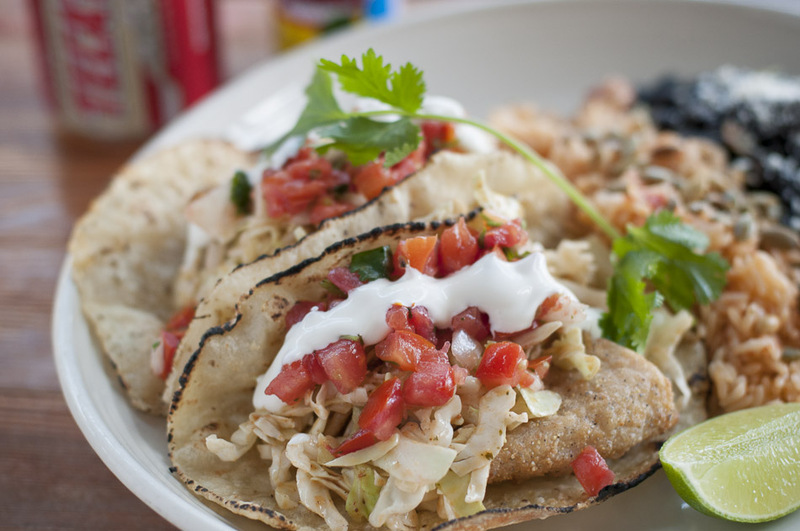 Blue corn tortillas layered with local chicken, house–made chorizo and spicy green chile sauce, Jack cheese, sour cream, pico de gallo. 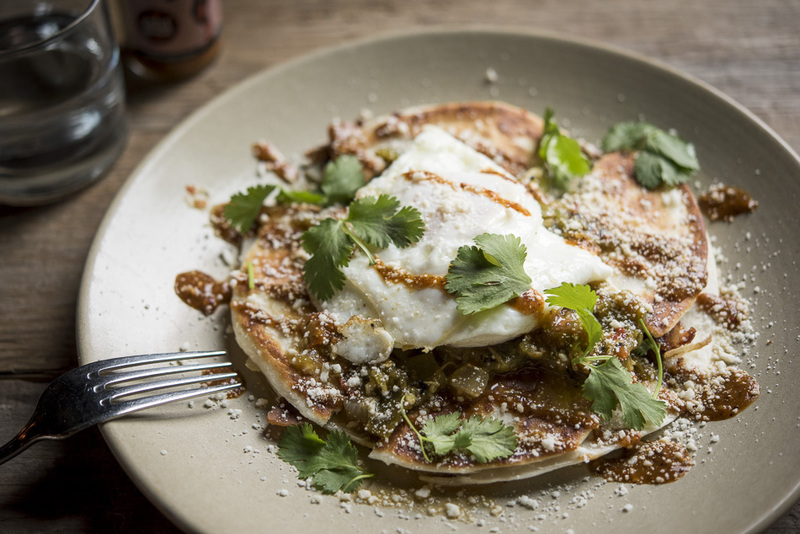 Organic blue corn tortillas, queso blanco, scallions, classic New Mexico red chile sauce, over–easy eggs. 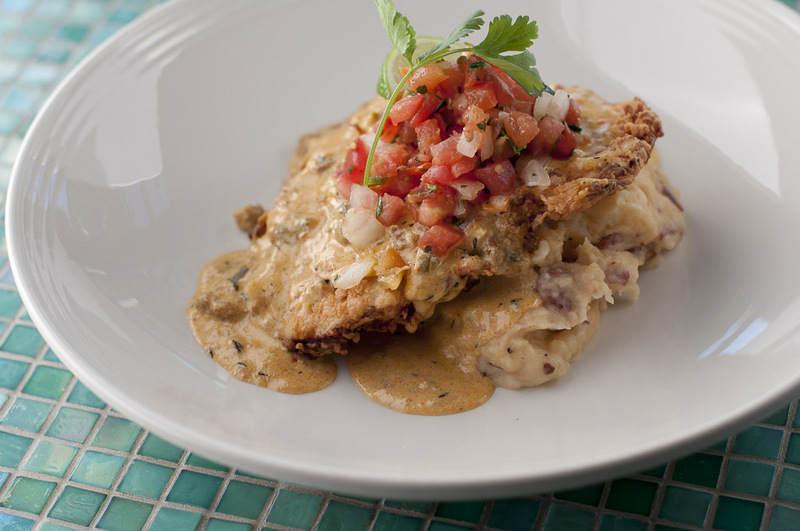 Pacific snapper, prawns, bay scallops, blue corn tortillas, Jack cheese, sherry–tomatillo cream sauce, blistered corn salsa, charred tomato salsa. 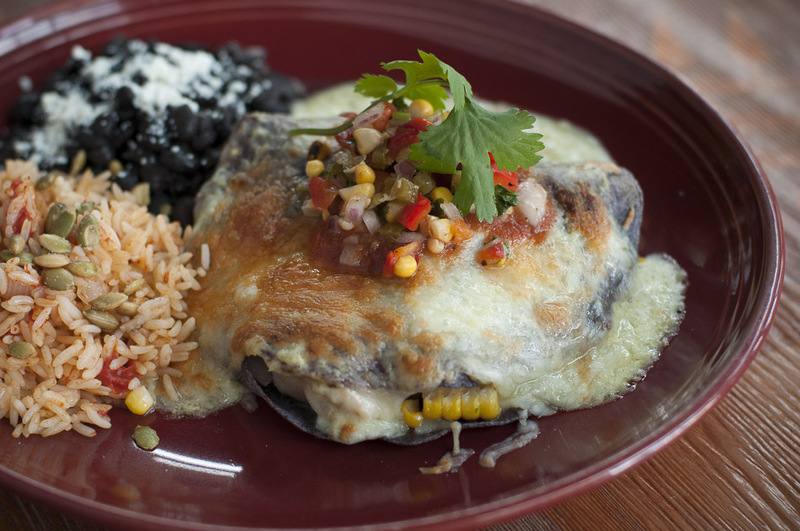 Housemade yellow corn tortillas served with Spanish rice and cumin black beans. 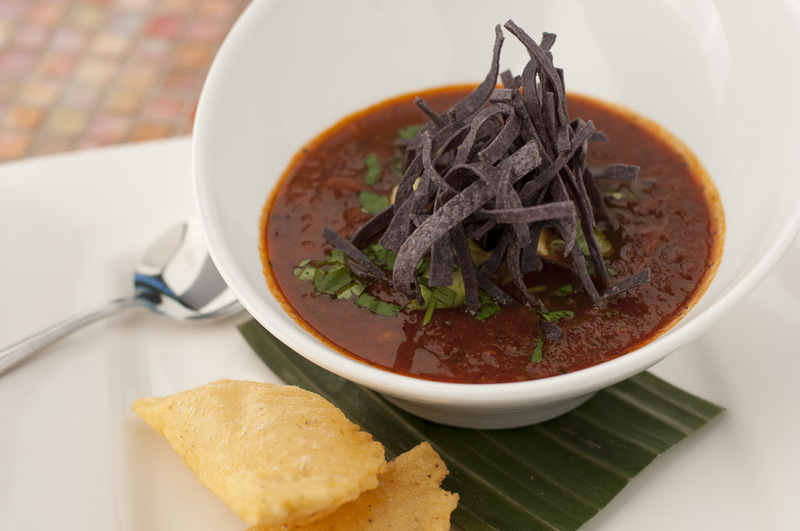 Ancho roasted potatoes, spicy chile de arbol salsa, Cotija cheese, cilantro. 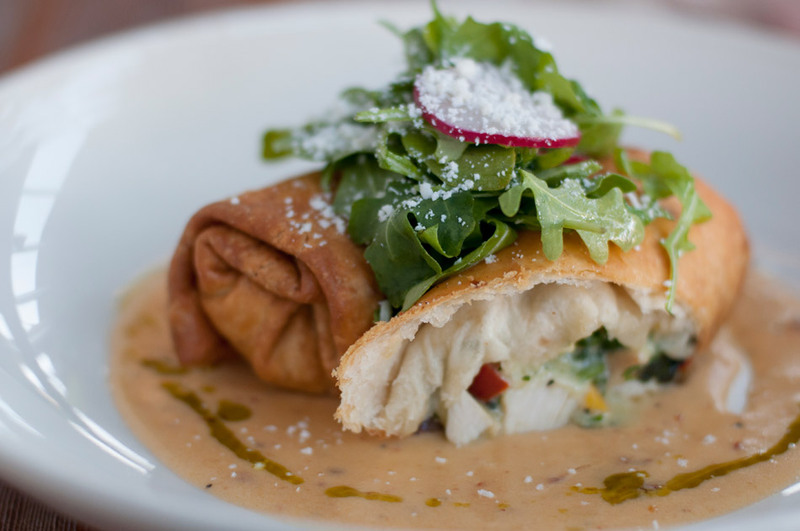 Crispy market fresh fish, coriander–pasilla slaw, pico de gallo, buttermilk crema.